One of them is the muffler pedal. I know what you’re thinking: instead of making cars autonomous, we should be making them even more complicated to control. 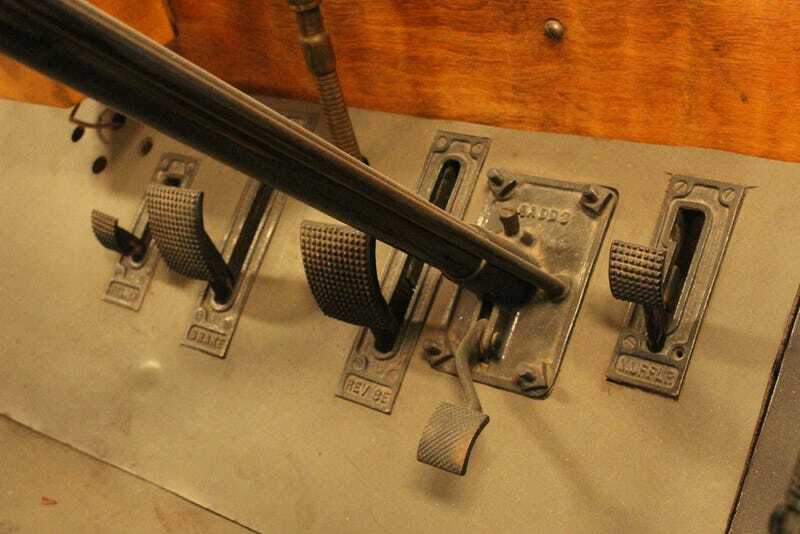 Additionally, this car had four hand controls, two levers on the side (gearbox and hand brakes, I believe) and a hand throttle and spark advance on the column.